>>> Versione inglese, dal sito dell'Atarassia Gröp. Nell'ultimo minuto della sua vita, la staffetta Gianna, al secolo Giuseppina Tuissi, così parlò al suo assassino. O almeno, così lo abbiamo immaginato. 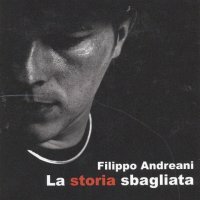 Con la speranza che la Storia renda Giustizia a chi è stato derubato della Gloria, ma non dell'Amore." e non lividi grandi e scuri come il temporale. fiera come una bandiera, fragile come una rosa. perché attendere la morte è peggio che stare già in croce. dopo il Venticinque Aprile torna il buio di Febbraio. tenetevi la gloria se volete, io mi tengo l'amore. Versione inglese, dal sito dell'Atarassia Gröp. In the last minute of her life, the partisan Gianna, in the world Giuseppina Tuissi, said these words to her killer. Or, at least, we imagined her saying these words. We hope that history will give justice to the ones deprived of their glory but not of their love. I used to have white skin as Christmas sky, not big bruises as dark as a storm. that one bates his mule only if doesn't start. as proud as a flag, as fragile as a rose. 'cause you know that waiting for death is worse than being on the cross. after the 25th of April, we are having again the dark of February. gets hard and stale, as a three days old piece of bread. keep your glory, if you want, I keep my love.